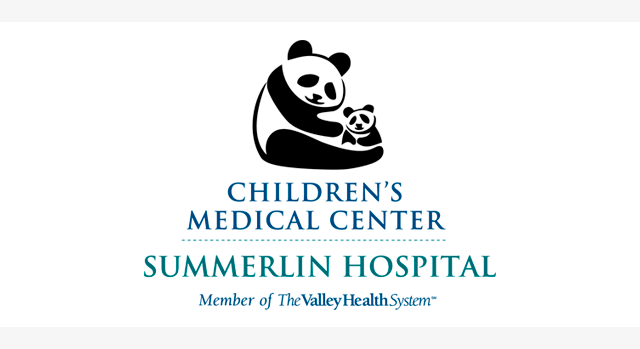 The Children's Medical Center at Summerlin Hospital Medical Center provides advanced care to infants, children, adolescents and teenagers in the western suburbs of Las Vegas. Along with the general Pediatric Unit, the Pediatric Intensive Care Unit and Pediatric Emergency Room provide a broad array of advanced services—close to home. The unit is newly renovated and features custom artwork in each of the 46 private patient suites. The unit also has an interactive playroom and dedicated Pediatric Procedure Room. The Children’s Medical Center is affiliated with Intermountain Healthcare’s Primary Children’s Hospital providing access to advanced tertiary services and physicians, new protocols and a coordinated process to transfer to and from Salt Lake City, Utah. The 12-room PICU is the only one of its kind along the western beltway in Las Vegas. Here, kids who have a variety of potentially serious conditions are cared for by a highly trained team of pediatric intensive care specialists that monitors them throughout their stay, and provides advanced services typically unavailable on a general pediatric floor. The PICU complements the other pediatric services at the Children's Medical Center at Summerlin Hospital. Kids who come to the pediatric ER and need intensive care services, as well as those in the Pediatric Unit whose conditions worsen, can receive the advanced care they need in the PICU. The unit also holds some of the latest technology in caring for children, providing both general and intermediate levels of care. A NICU, also known as a Level III Nursery, is the highest level of nursery care for newborns. Summerlin Hospital recently expanded its Level III NICU adding additional beds and advanced technology, making it one of the largest NICUs in the state. Your children don't have to wait with adult patients in the main ER. Instead, they see doctors and nurses who specialize in assessing, diagnosing and treating pediatric emergencies in a dedicated unit located within the main ER. The pediatric ER provides advanced emergency care 24 hours a day, seven days a week in a family-friendly environment. "Kids aren't just little adults," said Lisa Sperry, RN, Administrative Director of Children's Medical Center at Summerlin Hospital. "And they may also be too young or sick to tell doctors and nurses what's wrong. That's where our dedicated pediatric services can make the difference." Pediatric surgeons from several specialties perform surgical procedures for children at Summerlin Hospital. Pediatric urologists, gastroenterologists, orthopedic surgeons, and ear, nose and throat specialists perform traditional surgery, as well as robotic, laparoscopic and minimally invasive procedures. The hospital offers a comprehensive range of inpatient and outpatient procedures for pediatric patients. Children who have trouble breathing on their own or need advanced life support can get the life-saving care they need at the Children's Medical Center. The Respiratory Therapy Department at Summerlin Hospital offers pediatric respiratory therapy services to support the hospital's youngest patients. Licensed respiratory therapy practitioners have completed specialized training so they can provide a high level of care to children who are in the acute stages of illness or injury. Respiratory therapists perform procedures at the bedside to assess the level of oxygen in a child's blood. These test help identify patients who may need breathing support, allow therapists to monitor and adjust therapy for those already receiving support and help manage children who are on ventilators or who have breathing tubes. The Radiology Department at the hospital provides a wide range of imaging services for children, including X-rays, nuclear medicine studies, magnetic resonance imaging (MRI), computed tomography (CT) and ultrasound studies, which all help physicians diagnose conditions and monitor their patients' progress. Outpatient physical therapy services for kids are located in a special space designed for young patients in the Pediatric Outpatient Therapy Center at Summerlin Hospital. The 1,000 square foot suite features new, advanced equipment sized to fit youngsters and help reduce the discomfort of physical therapy as much as possible under the guidance and supervision of pediatric healthcare professionals. Is your child is scheduled to have surgery at Summerlin Hospital? Our child life staff offers pre-operative, age-appropriate education sessions to help familiarize your child with the hospital environment and decrease anxiety he or she may be feeling. For more information, please contact the Child Life Department at 702-233-7416.